Harrisburg, PA – Governor Tom Wolf today signed House Bill 1869 into law, now Act 24 of 2018, the primary intent of which is to create a 15-member Maternal Mortality Review Committee within the Department of Health to collect confidential information or investigate and disseminate findings related to maternal deaths. Prior to passage of this legislation there was no mechanism for collecting this important data, which can lead to systemic changes needed to decrease maternal mortality. According to the Centers for Disease Control and Prevention (CDC), maternal deaths have been rising in the United States since 2000, while they have decreased in nearly every other country in the world. The rate has more than doubled in Pennsylvania since 1994. Philadelphia’s Maternal Mortality Review team (MMR), the only city in the state to have an MMR, determined 27.9 women died per 100,000 live births in the city during a three-year period from 2010-2012 for pregnancy-related mortality (pregnancy to a year post pregnancy). 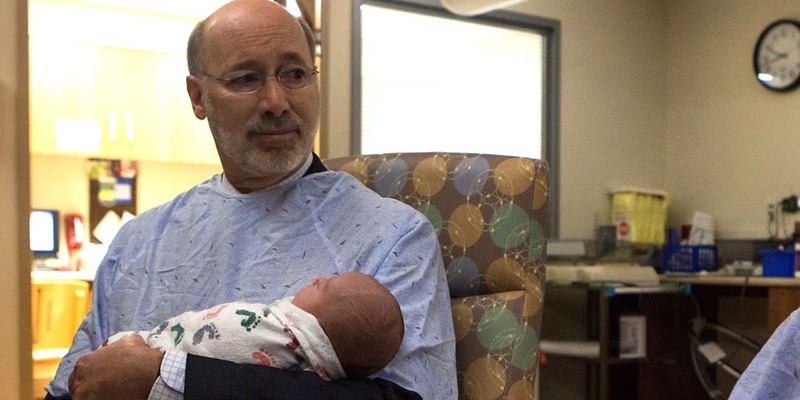 “With the alarming rate of maternal deaths in Pennsylvania, establishing this committee will help take immediate action in determining the reasons for this phenomenon and, more importantly, help to develop prevention recommendations,” Governor Wolf said. The legislation, introduced by Rep. Ryan Mackenzie, will establish a committee consisting of the Secretary of Health or her designee, an obstetrician, a maternal fetal medicine specialist, a certified nurse-midwife, a registered nurse representing maternal health care, a psychiatrist, an addiction medicine specialist, a social worker or social service provider, a medical examiner or coroner responsible for recording deaths, an emergency medical services provider, a health statistician, a representative of the department’s bureau of family health programs, three individuals specializing in emergency medicine, family medicine, pathology, anesthesiology, cardiology, critical care, or any other relevant medical specialty, and additional personnel at the discretion of the secretary. “Pennsylvania mothers deserve the best possible health care, and by establishing a Maternal Mortality Review Committee here in the commonwealth we can make sure the latest information on conditions and treatment options impacting expectant mothers is shared with medical professionals across the state,” said Rep. Ryan Mackenzie. The Maternal Mortality Review Committee also may consult with any relevant stakeholders or experts if identifying information of patients or health care providers is not disclosed. Members must be appointed within 60 days of enactment of the bill and the committee must meet annually, at a minimum, with the first meeting held within 60 days of today.